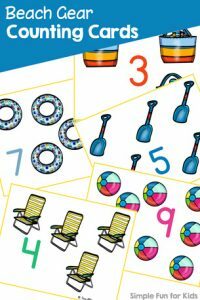 It’s not quite summer anymore, but ice cream can never be wrong if you ask N, so here’s another printable I made for him with his favorite ice cream counting clip art: Ice Cream Number Cards 1-10. 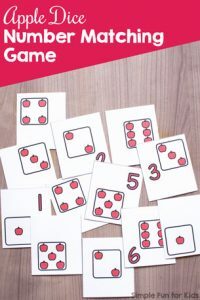 I made them because N was playing with some Ice Cream Counting Puzzles that I hadn’t cut apart yet and came up with the idea of me holding them like a hand of playing cards for him to pull out one at a time and name the numbers. In order to make the puzzles usable and still have the option of playfully learning the way N likes it, I created these dedicated number cards. 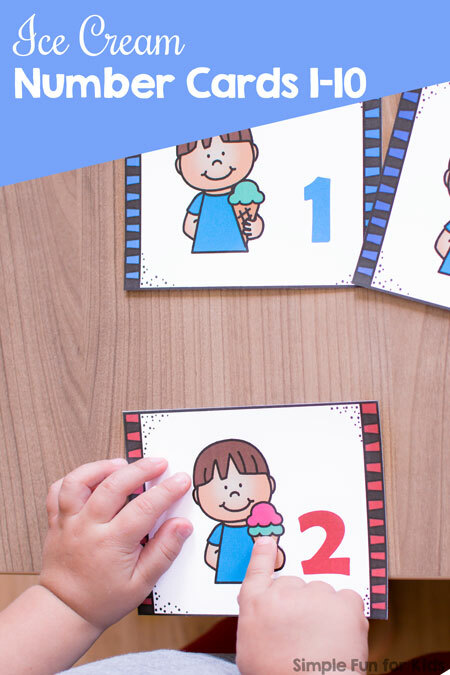 You can use them as flash cards, memory or matching cards, hang them on the wall as a reference, or come up with your own uses. 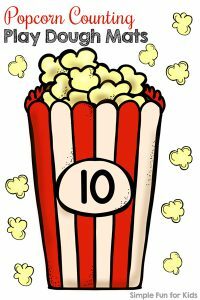 The file includes three pages of number cards from 1 through 10. Two pages have four cards each, the third page has two cards the same size as the other four. Simply print the page(s) you want to use and cut the cards apart at the black lines. 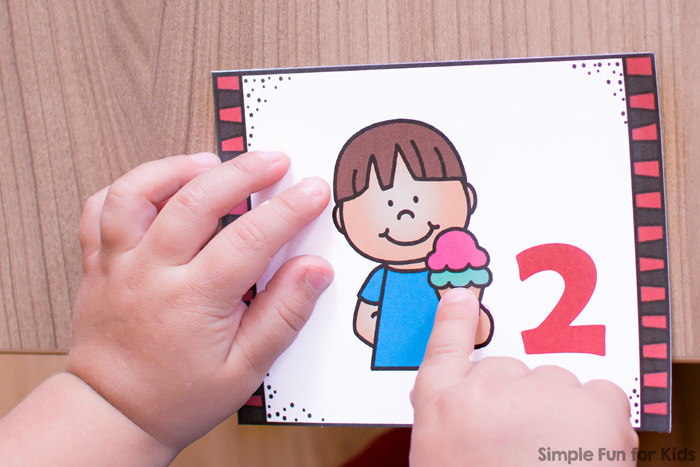 Download your Ice Cream Number Cards 1-10! Or click here to see this page (including VIP exclusive content!) on my membership site and become a VIP member today! My Ice Cream Counting Mini Folding Book uses the same set. 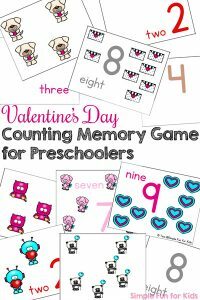 Are you looking for more printables that help with learning to count?